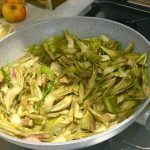 Where to visit in Abruzzo? Looking for a new region in Italy to discover? Want to find somewhere to go in Italy that isn’t touristy? Somewhere which is untouched by tourism yet is rich in beauty, culture and full of good food, wine and artisan treasures? Then Abruzzo is your ultimate destination! Only a 2hr drive from Rome will get you deep into the heart of Abruzzo, and well off the beaten path. 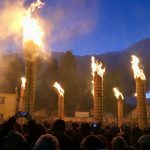 Abruzzo is one of Italy’s last undiscovered regions, and people who make their way here, leave wondering why and how that is even possible. Most of the region is mountainous, due to the Apennine Mountain range, which can be a shock to some who think that Italy’s mountains only lie in the north. 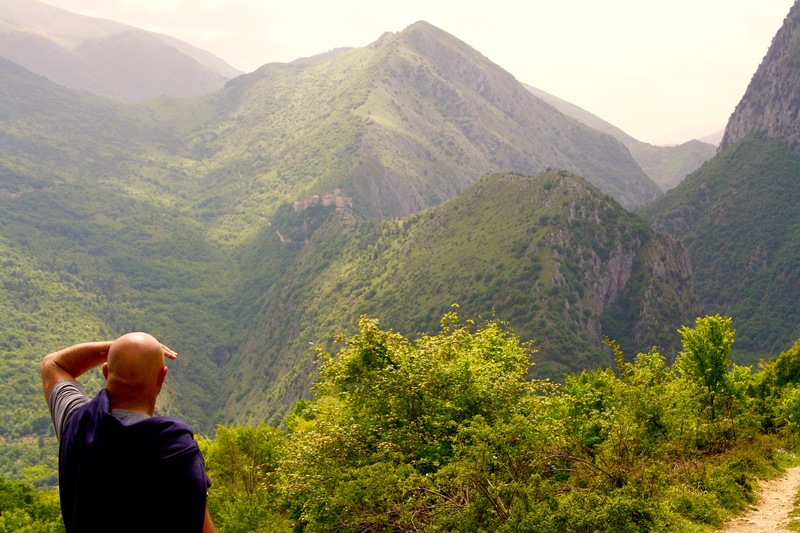 36.3% of the region is National Park and Reserve, and an enormous 75% of Europe’s wildlife species can be found in Abruzzo, which is why it is known as the “Green Heart of Europe”. 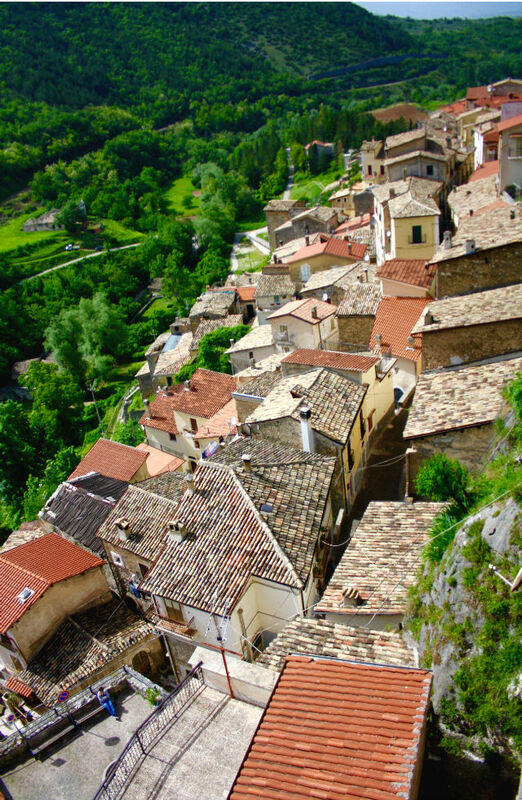 What you will notice first about Abruzzo, is the stunning scenery. The rugged mountains with peaks, that reach 2,912m/9,554ft, ascend rapidly into foothills covered in olive groves and vineyards, until they meet the sparkling Adriatic Sea. Nestled within the crevices of the rugged terrain, and perched precariously atop of peaks, are idyllic villages that make for the most bucolic scenery. 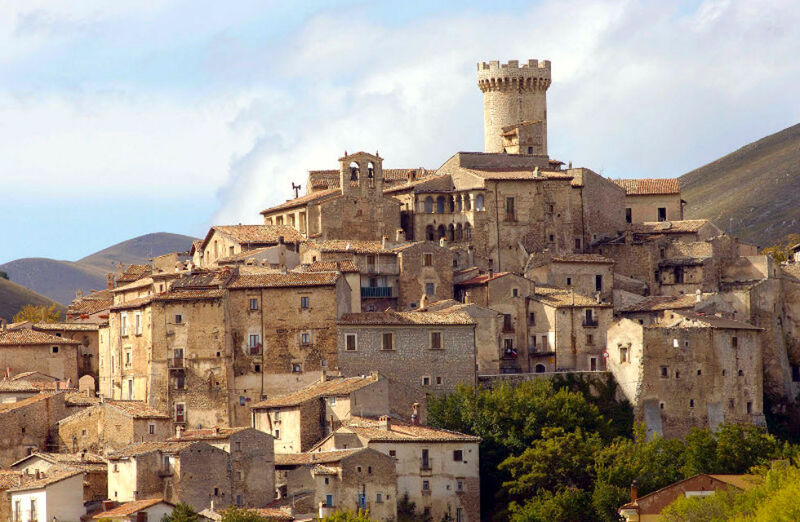 Twenty-three of Abruzzo’s villages, have been awarded the title of “I Borghi Più Belli d’Italia” which means “One of the most beautiful villages (Borghi) in Italy”. 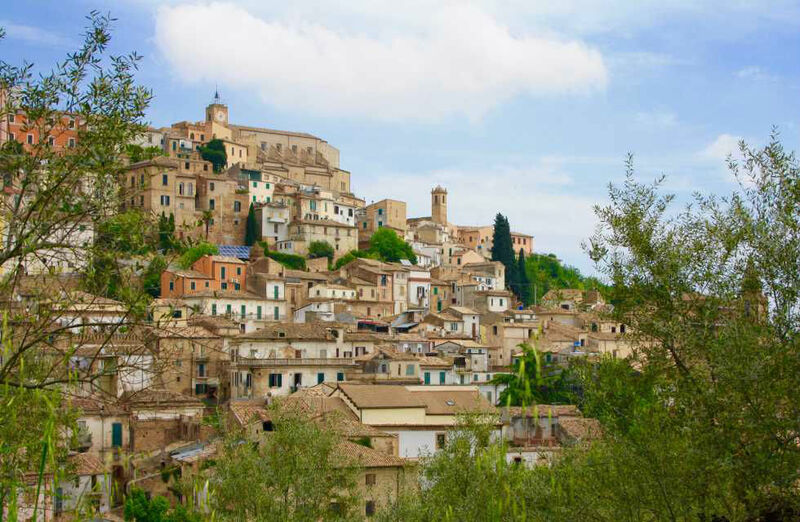 In fact, Abruzzo, along with Marche, has Italy’s second highest concentration of villages awarded with the prestigious title. Not only does the close proximity of mountains-to-sea make for the most spectacular scenery, it also provides a vast variety of culinary delights. Seafood is a way of life for people all along the coast and foothills, where spaghetti alle vongole (spaghetti with clams) is as commonplace as toast in English speaking countires. Inland, hearty dishes are eaten, flavoured with the likes of truffles, porcini and saffron. The foothills between the mountains and coast are perfect for producing superb quality wines and olive oils. You could spend many sunny weekends sipping your way from winery to winery, and stopping off for lunch in authentic trattoria’s and agritourismi, which are farms that have restaurants and serve dishes made from their own products (think ravioli filled with home-made sheep’s ricotta, served with a fresh, home-grown tomato sugo. The best part of Abruzzo, I mean, apart from the stunning scenery, charming villages, and amazing food and wine, are the people. The Abruzzese (people from the region of Abruzzo) are very down-to-earth and friendly people. They are curious and welcoming of tourists, and they love to indulge them with generous, old-fashioned hospitality. 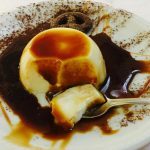 So, now that I’ve convinced you that Abruzzo is the place to be, let me tell you about a few places within Abruzzo, that should definitely be on your itinerary. 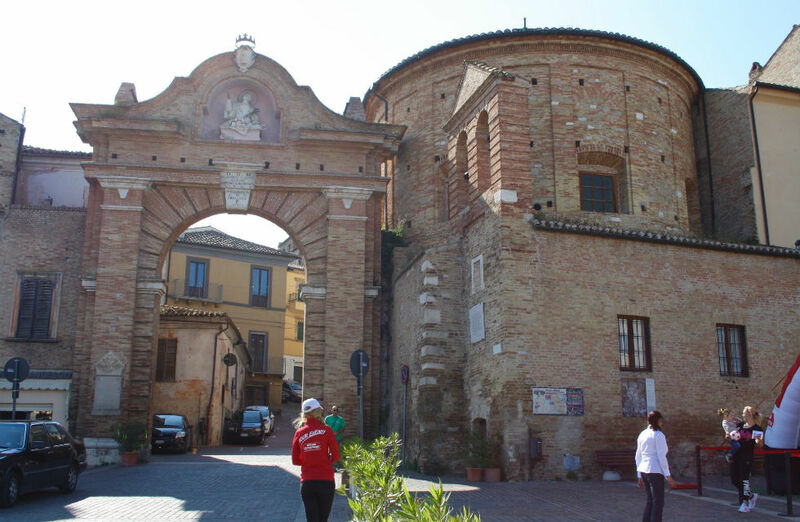 Santo Stefano di Sessanio is our first destination on tour when arriving in Abruzzo from Rome. Santo Stefano di Sessanio is an ancient, stone village which was once a wealthy and important village for the sheep trade when it was acquired by the Medici. There are two “Difuso” style hotels here, which means that the hotel rooms are actually separate houses within the village, so you can feel like a real local staying here. The lentils that are grown here are renowned, and also produced in the area are an array of local delicacies such as chickpeas, honey, saffron and caccia cavallo (a type of cheese). 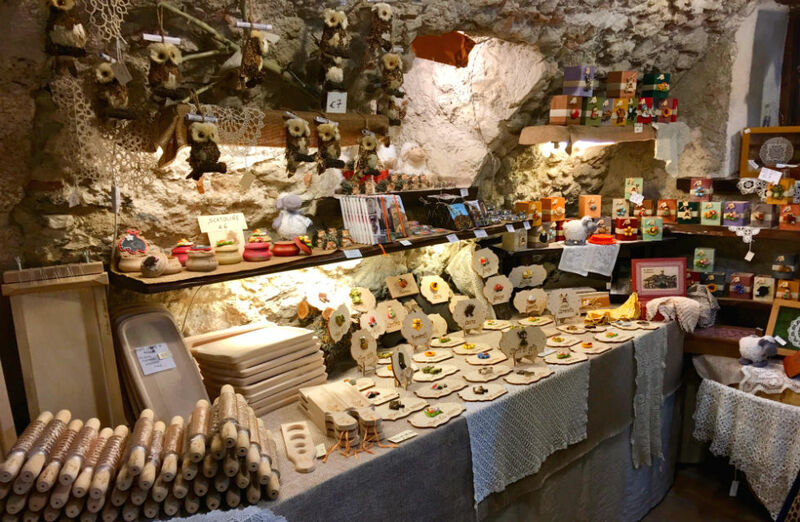 There are many quaint stores selling local artisan produce and crafts, such as lace made using the age-old bobbin technique, and woolen garments which have been dyed using natural products, such as camomile, saffron and Abruzzo’s own red wine grape, Montepulciano D’Abruzzo. 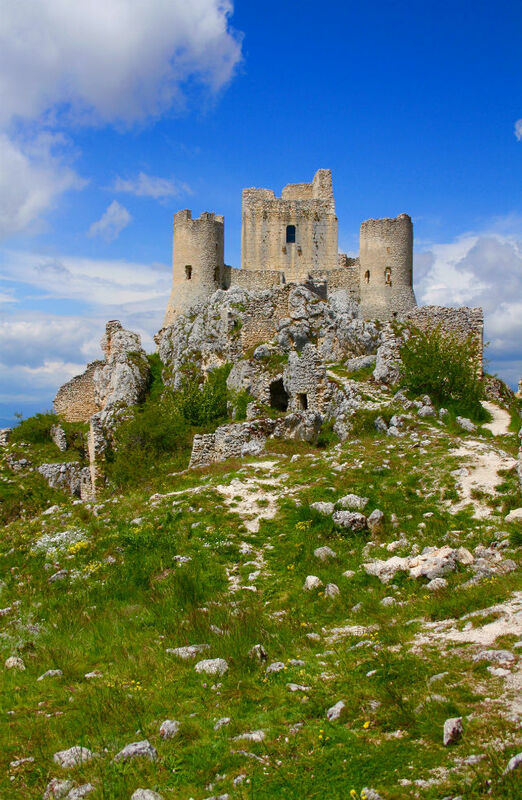 From Santo Stefano di Sessanio, you can visit Rocca Calascio which is an ancient fort and features in the movie “Lady Hawk” with Michelle Pfeiffer and Andrew Broderick; Campo Imperatore which is an alpine plateau within the Gran Sasso National Park and Castel del Monte, where the film The American with George Clooney was filmed. Sulmona is probably Abruzzo’s most visited town, although I still wouldn’t call it “touristy”. 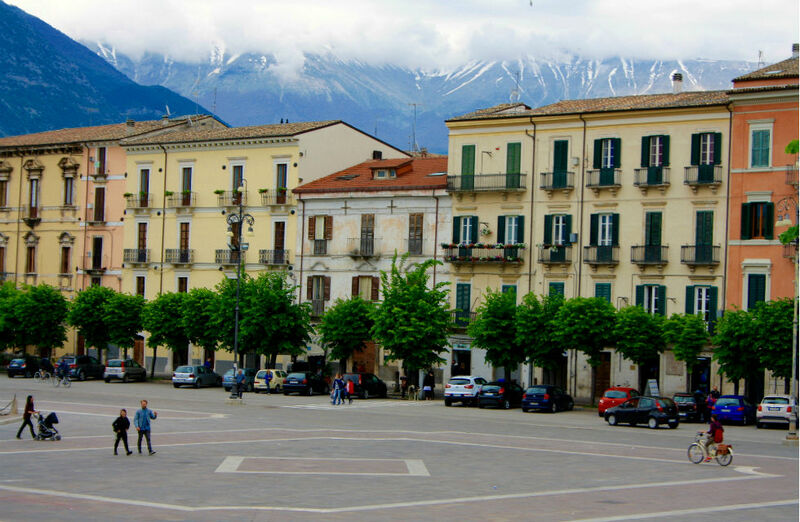 It’s a lively town with a large farmer’s market held every Wednesday and Saturday in the main Pizza, Piazza Garibaldi. At the market, you can be sure to find Sulmona Aglio Rosso (Sulmona’s red garlic, which is renowned for its flavour). The famous Pelini confetti (sugared almonds) are produced here. You can visit the museum and factory in town, and see the confetti styled to look like flowers, on the streets outside the sweet shops. 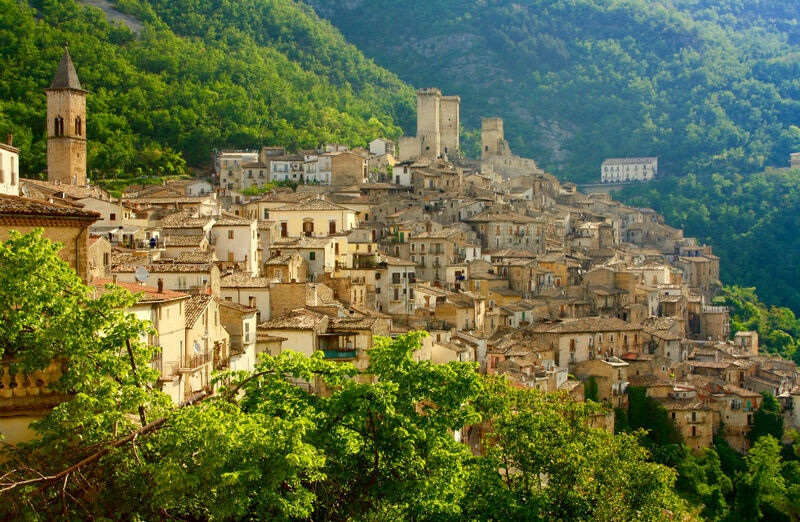 A 15min drive from Sulmona, into the mountains will bring you to Pacentro, a gorgeous, ancient, stone village. Pacentro is the kind of village where you just want to wander around the alleyways and gaze at all the delightful nooks. There is a castle whose towers make up the village’s distinct silhouette and a house that has remained unchanged for hundreds of years and allows us a glimpse into the past. Nearby is Pettorano sul Gizio, which like Santo Stefano di Sessanio, Castel del Monte, Pacentro, Pescocostanzo, Scanno and Penne has been awarded the title of “I Borghi Più Belli d’Italia”. Pescocostanzo is a real gem, full of many important and well-preserved Renaissance and Baroque monuments. Marble and iron works were once important commodities. Inside one of Abruzzo’s most beautiful and interesting churches are some stunning examples of marble work. 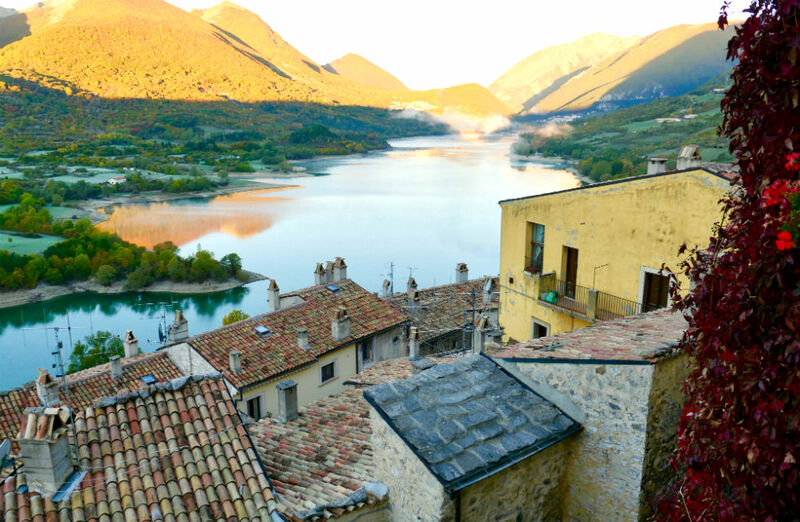 Nearby, is the ski resort town of Roccaraso and another 30-minute drive will bring you to Barrea, a charming village overlooking the lake. 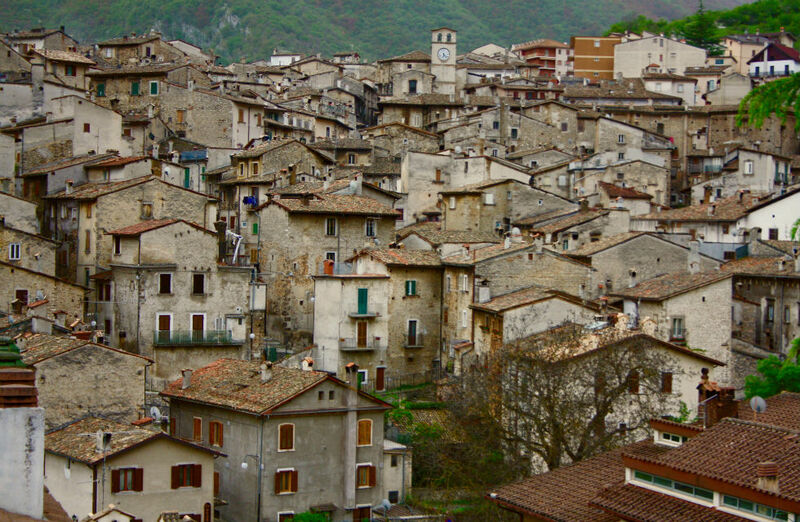 Scanno is a village that is rich in culture. For centuries, the women of Scanno have been considered amongst the most beautiful in Italy, and Italian’s visit Scanno just to spot the elderly women who still wear the traditional dresses of Scanno. Handmade filigree jewellery is a centuries-old craft of Scanno, and inside an artisan jewellery store you can watch a demonstration of how filigree was made using antique tools. 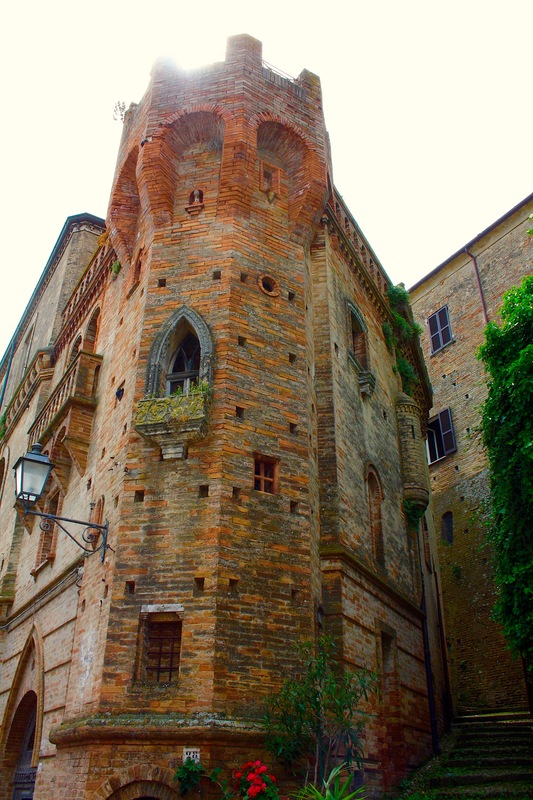 Penne is a bustling medieval village with a fabulous structure at its entrance, San Francesco’s Gate. 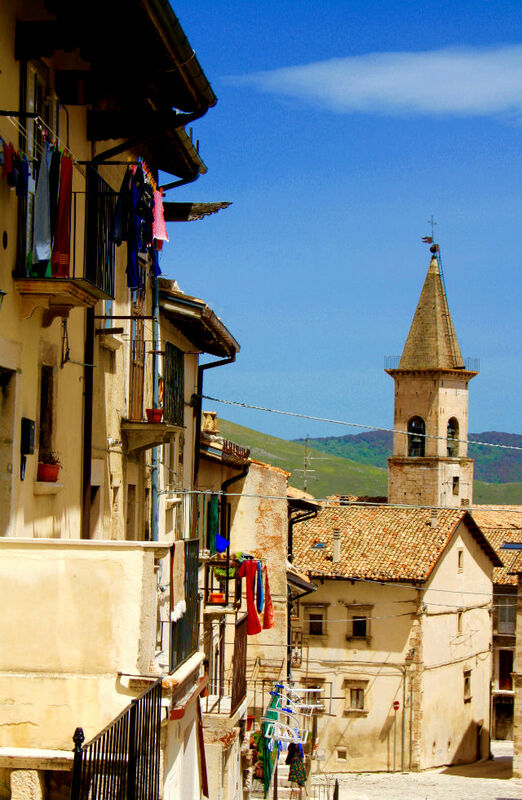 Every historical building, the houses, and even the streets have been entirely built out of bricks, which is why Penne, is known as “Citta del Mattone” (City of Bricks). Situated in a tranquil setting amongst vineyards and olives groves, and an easy 30 minutes drive to the beach and equally as far to the mountains, Penne is a great base. Loreto Aprutino is only a 7 minute drive away. 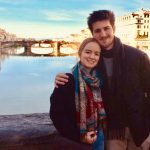 I’m biased about Loreto Aprutino, because it’s where my husband and I chose to live in Abruzzo, but that’s not why it’s a must-see. Loreto Aprutino is the perfect base to discover Abruzzo from, with a 30-minute drive to the beach in one direction and a little further to the mountains in the other direction. Loreto Aprutino itself is a vibrant village, where the locals have a dialect flavoured by a faint French accent, derived from French occupation some 150 years ago. There are two important museums, the Castelli Ceramics museum ,which houses the largest collection of Castelli ceramics from the 16th to the 19th century, and an olive-oil museum which is housed in the Palladini frantoio (olive oil factory), which has an interesting gothic façade. 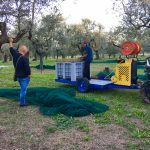 For us, the best part of Loreto Aprutino, is the fact that the area produces exceptionally high-quality extra virgin olive oil and some of Abruzzo’s best wineries exist here. 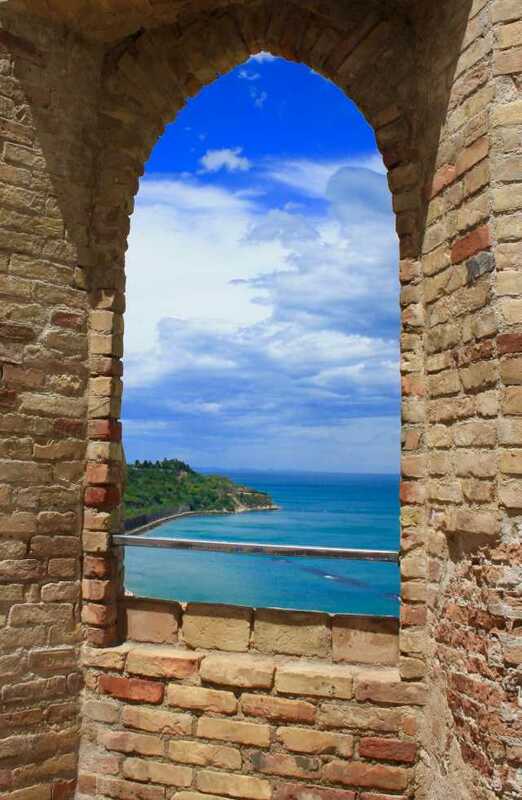 The Trabbochi Coast is an absolute must when visiting Abruzzo. 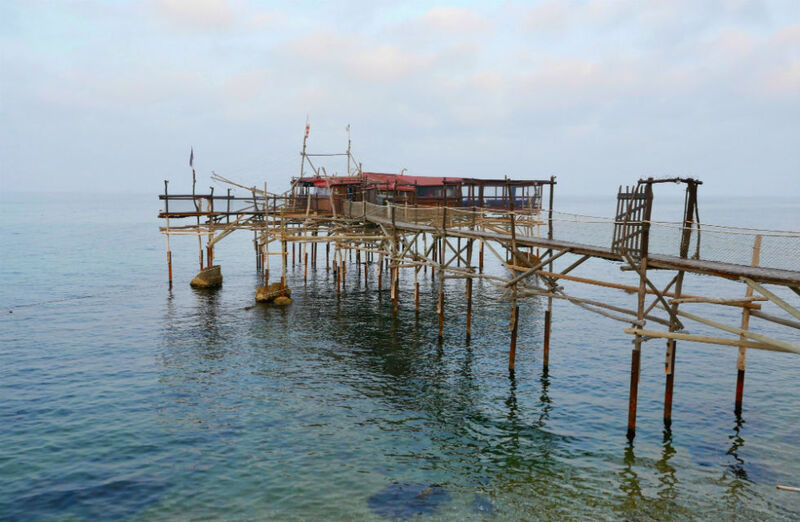 Stretching between Ortona and San Salvo, it is named after the over-water fishing huts called Trabocchi (plural) or Trabocco (singular), that are unique to Abruzzo alone. The structures are spaced out all along the coast and each of them is different to the other. Many have been made into restaurants where you can enjoy the most bountiful and freshest seafood feasts. Anytime between April and October is best to visit Abruzzo. But, if you enjoy your winter sports, December through to March holds a wealth of activities and areas for you to explore. 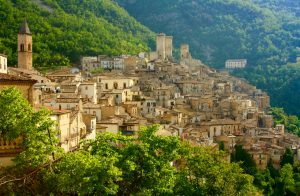 For more information about Abruzzo or to enquire about our small-group tours of Abruzzo, you can contact us at Italian Provincial tours. 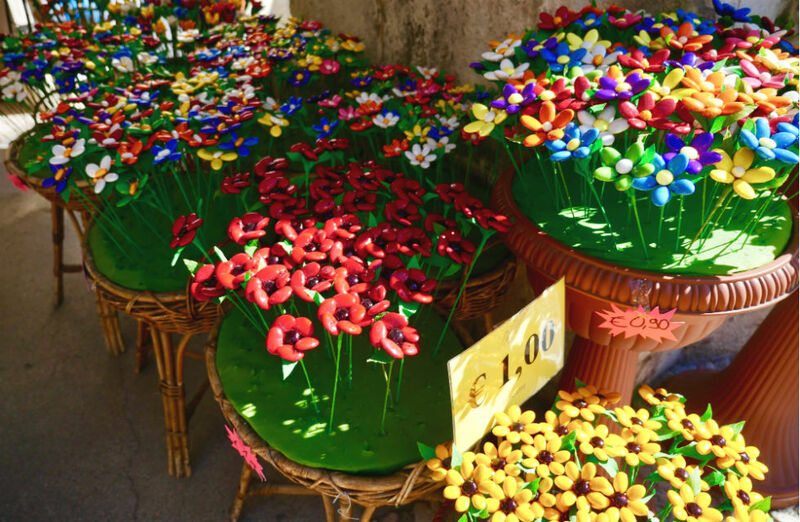 What to do in Italy – Take a look at this fantastic article on what to do in Italy.